The Save the Children organization is known for their fantastic international efforts to help children worldwide. What’s less well known is the tremendous domestic work they do in the area of US disaster preparedness. Disasters impact children differently than adults and Save The Children has extensive programs to restore normalcy for kids through disaster preparation, response and recovery. In order to raise awareness for this important new US safety resource, and encourage communities and families to prepare for disasters, we produced a short animated film that powerfully illustrates the experience of being disconnected with your child during a disaster. Each workday, 68 million children are in childcare or school, separated from their parents. Most families and childcare providers don’t have a plan to reconnect when a disaster strikes, and when they do, families are often separated, sometimes forever. 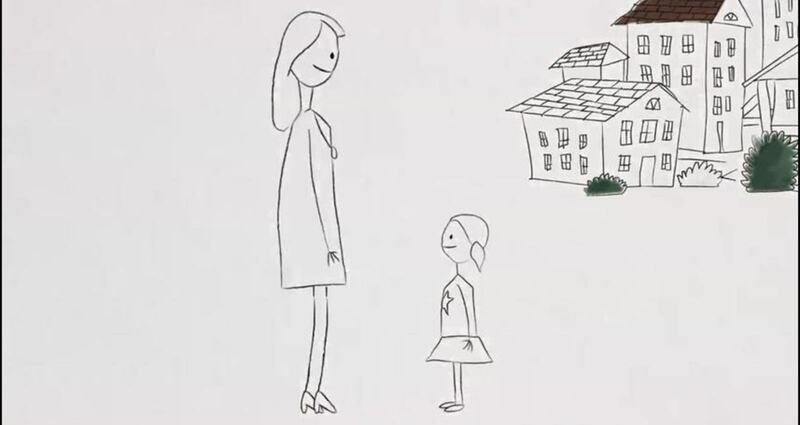 Our video follows a mother and child on the day of a disaster. When the mother drops her daughter off at school in the morning, we see that a metaphorical line connects the two. Throughout the tumultuous storm, the line continues to connect them. As it becomes clearer and clearer that they may not find each other the line strains and ultimately breaks — leaving the viewer with Save The Children's powerful message about the urgency of making a plan to reconnect with your family in a disaster situation. Through the evocative style of a child’s drawings we give emotional resonance to Save the Children’s message and create a direct link to the Get Ready Get Safe microsite and their critical safety resources.